Hi loves! 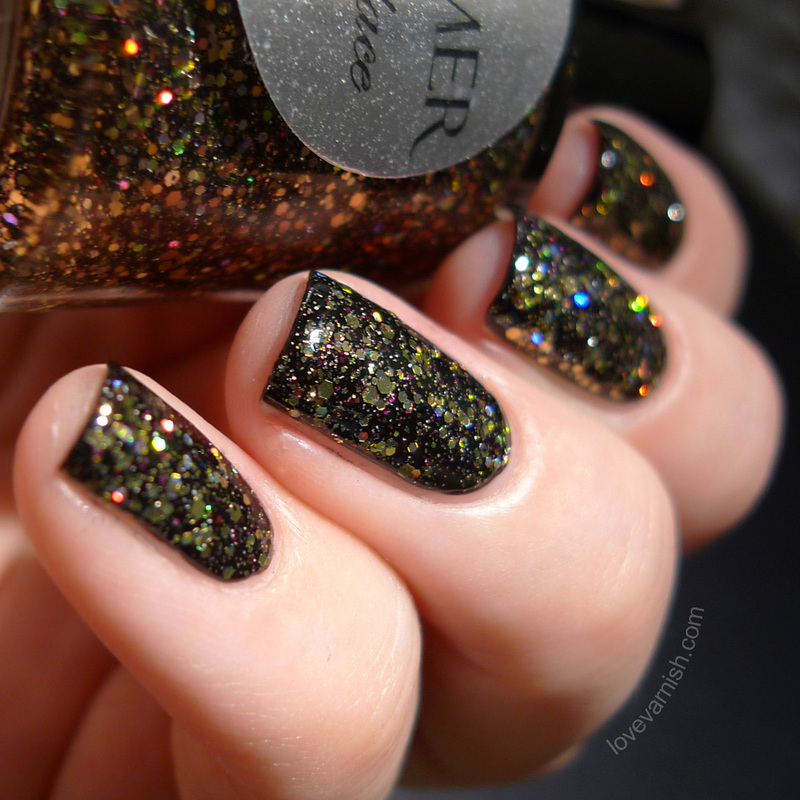 Have you been enjoying all the gorgeous Shimmer polishes Loqi has been showing you lately? I especially adored this weeks post, gorgeous nail art! Well, I have a fun shade today too so I hope you like it :-). 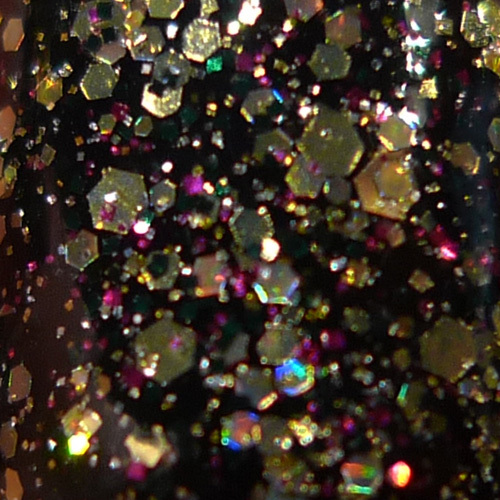 Shimmer Candace is a sparkly mix of various sizes of golden hexes, small black and fuchsia glitter with a good sprinkling of golden holographic hexes. The base is clear and to make sure I'd get good coverage I used 2 coats over a black base. Shimmer glitters always apply so well. You don't have to fish for the glitter, it doesn't clump, it doesn't even dry too gritty, though I did layer a coat of Gelous before I used my beloved Glisten & Glow HK Girl Top Coat for a smooth and shiny result. And the sparkly tips you are left with are always fun to look at! Do you like this golden glitter bomb? Tell me in the comments! This looks so sparkly! 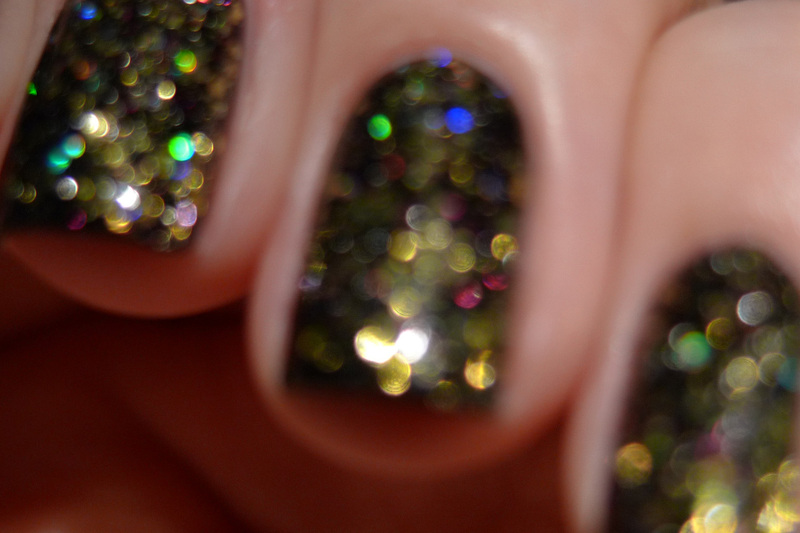 I love Shimmer polishes! Thanks Jessica! I do too :-). This is so pretty! 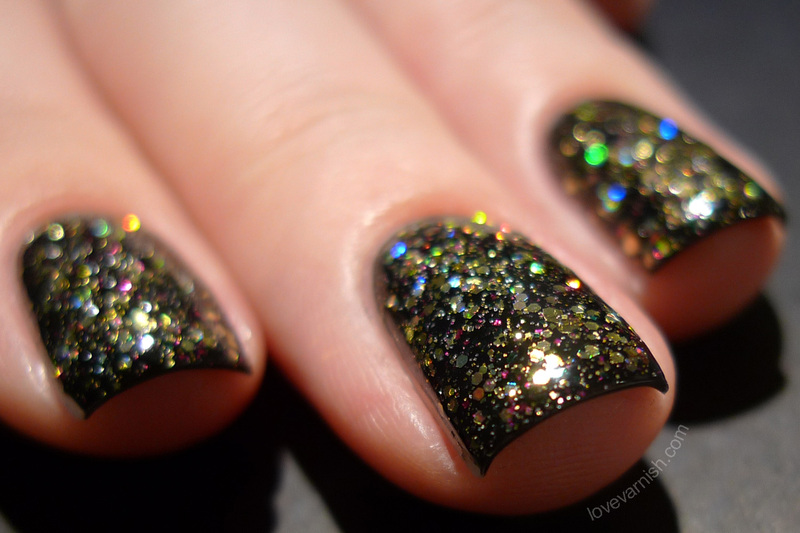 I think it would look great in a New Year's mani. This is so beautiful Deborah!! I love Shimmer Polishes, they are definitely one of my favorite glitter brands!! Candace is absolutely stunning and I love her over the black base!! I'm actually wearing Shimmer Lorene today! Waiting on a perfect opportunity to run out and get a sun shot of all the bling!